New Model in Silver. 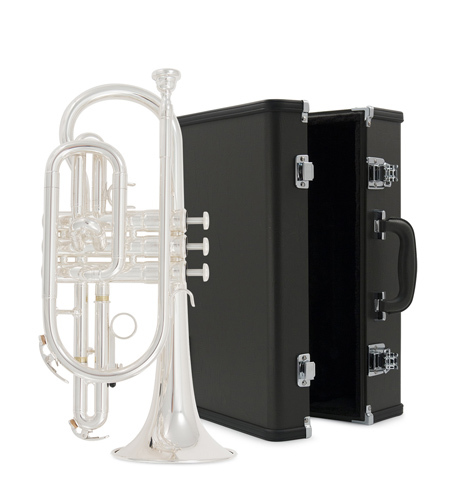 Improved from the original 2330 design this new version has a modified Med Large bore for easier response and sound production, monel valves for better performance and a 2 piece yellow brass bell which is lighter. Great first cornet due to its ease of tone production and reliability.